Toys are your little one’s best friends for the better part of the day. If you happen to be your children’s best friend, you probably aren’t at home for the better hours of the day thus leaving them to be with these images that mimics real objects. These objects are taken everywhere during the day. The stuffed animals will certainly be taken for sleepovers at grand mom’s place. They are also taken to soccer games in those dusty fields or in the rain. They are also not left behind when attending those frequent estate parties or even the neighborhood pancake breakfasts. Whether they are toy types that will catch dirt or not, because they are rubbed and sucked on all over, they become very germy hence the need to regularly clean them. Lucky enough, there are some ways that can be used to clean these toys thus getting them look as clean as new or even as good as new. Even with their faded color, thus a hindrance to making the toys regain their new look, you should still clean the toys to keep them off germs thus reducing the risks of your children contracting a disease. Below are some golden tips to use. If you didn’t know, your children’s bath time toys can be the perfect bacteria and mold breeding ground. 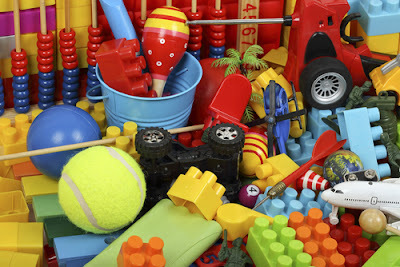 E. Coli is specifically a bacteria that is commonly bred in these toys. To ensure that your children get a clean bath below is a toxic free method to employ in cleaning their toys. · Start by tossing the toys in your dishwashing machine to give it a quick, hands-free dirt removal. · A vinegar solution diluted in hot water will be effective enough in dirt removal. · You can also decide to seal up the holes with hot glue to prevent water from getting inside. 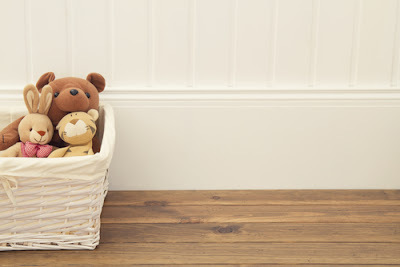 · Ensure you air dry each of the toys after use thus preventing the growth of mold and bacteria. If any water logging occurs with slimy grime within the toys, it is an indication that you need to get your little ones a new set of bath toys. Cleaning these animal dolls does more than just keeping them appealing to look at but also keeping them from molds, bacteria, and allergens. The good news is that these types of dolls can easily be washed in the washing machines. Together with your other fabric, put the bears in a washing machine and clean them up to ensure that they become germs free. Just like in human beings, the appearance of the dolls can be determined by the how kempt the hair is. If that doll has a mane that looks horrible as an aftermath of being dumped in water or due to wear, rinsing in hot water will do a great job in taming the tangles of the doll’s hair. Another solution is to spray the hair using the magical hairspray for taming the frizz of doll’s hair. All you need to make the solution is 2 tablespoons of liquid fabric softener and water. Mix in a spray bottle, shake well, spray on the hair and comb it with a wire brush. Start by checking the label to find out if there are some manufacturer specifications on how to clean these toys. For instance, there are some toys that aren’t machine washable with others requiring some specific cleaner types. For the toys that don’t come with a label, wash them in machines. This is because most of the push-toys are machine washable and for the manufacturer not to caution you against machine washing, it means it is compatible with these machines. For the very dirty or soiled toys, a little baking soda is sprinkled on them before putting in the machine. Wool toys are not machine washable thus it is important we know how to clean them. Spot cleaning of the stains in an alternative of keeping them clean. With the use of a cloth dumped in mild soap, dab out the stain and leave the toy to dry out. If they are extremely dirty, consider hand washing in a bathtub or basin with the use of wool soap. Dry them under the sun rather than in the drying machine. · Don’t put toys whose functionality would be ruined by water for example toys having push buttons, or balls, designed to be lighting up. · The toys shouldn’t have removable parts or loose parts. i. Randomly place small things in your dishwasher’s silverware holder. ii. Fill the top with smaller pieces and the bottom with your children’s bigger toys. iii. By ensuring that the heated dry is off, add natural dishwasher detergent and give it a gentle cycle. You don’t really want to see the toys having melted upon removal. That’s it. In the morning, you will have a batch of spiffy clean and germs free toys. There will be reduced cold germs in your house thus a cut on the medical bills. Disinfection of toys is not just prudent but mandatory for any parent who is health conscious about their children. 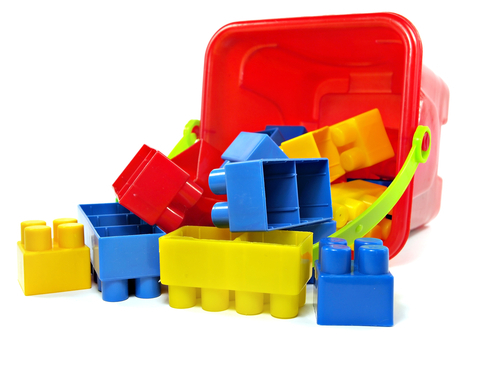 Disinfection is one of the surest ways of keeping your little ones safe from diseases that are transferred by toys. There are numerous sanitizing solutions in the stores and whichever you go for is a decision for you to make. You can also use a DIY sanitizing solution made by diluting a tablespoon of a bleaching agent in half a liter of water. Diluting it makes the bleach nontoxic to children. Probably, you don’t have a dishwasher or the toys happen to be bigger than the dishwasher can accommodate or even the toys aren’t compatible with dish washing. If that’s the case, using warm soapy water, in conjunction with the disinfection/sanitizing solution, rub the toys using a wash brush/cloth. Be sure to remove batteries before washing. The use of vinegar together with baking soda added to the water makes would be advisable in the event that the toys are grimy and/or greasy. With enough knowledge and information, cleaning toys becomes easy. However, if you lack such important tips, you may end up faltering thus destroying the toys or even rendering your washing machines useless. However, with all these tips, always be sure to refer to the manufacturer’s instructions and guidelines on how to clean the toys.